Wearer's of fashionable ski outfits start their hunt for pristine powder snow and unspoiled descents every year with the first snowfall. Once the slopes are open and you're on the lifts, there's just one thing left to do - ski! In order to guarantee that the first days on the slopes is a great success and you look great, you can't forget a good ski jacket. A high-quality ski jacket for men and women not only looks good, but also protects skiers and freeriders against wind, cold and snow - and any other whims of Mother Nature. In winter time it's especially important that the body is protected against cold, snow and damp during skiing and snowboarding. Good ski jackets for womenand men and ski jackets for kids are perfect for this and let the skier look great as they do so. ...and on every ski day on the body of the ambitious skier, ski tourer and winter sportsperson. Little ski racers have also been considered. Ski jackets for kids are just like ski jackets for men and women. Ski adventures on the slopes or in meter-deep snow will be twice as fun with a high-quality ski jacket. Good ski jackets for men and women have one thing in common: They are equipped with a waterproof, windproof and very breathable membrane and possess certain characteristics which distinguish a ski jacket from a conventional winter or outdoor jacket. These features includes, for example, a snow skirt (also known as a powder skirt), pit zips for ventilation, a helmet-compatible, fixed or removable hood and several practical pockets for storing a ski pass, cell phone, spare glasses or wallet. Ski jackets for skiing and winter sports can be filled with a warm PrimaLoft padding or are also available as a 3-layer hardshell. 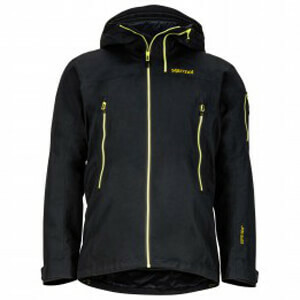 Lined ski jackets are often used in combination with a lightweight fleece to keep the skier warm. If wearing an unlined ski jacket, you should apply the onion principle and wear a warming insulating layer or functional ski underwear. Combined with the matching ski pants, skiers and snowboarders will look great on the slopes in the mountains. And let's be honest: In addition to proper skiing technique it's also about looking good on the slopes.